Morphotectonic analysis of a drainage system is widely applied in evaluating the morphological evolution of a region in response to tectonic deformation as reflected by structural and morphometric parameters. Essentially, the combination of lithological, tectonic, and climate factors lead the development and the evolution of a drainage system regardless of the general geological setting of a region. The Sali River is developed in the westernmost part of the shelf zone of the Bengal Basin and adjusts its course depending on the underlying geological structure, climatic effects, and tectonic activities. In order to identify the tectonic activity of the study area, morphotectonic and geomorphic analyses have been carried out by performing a tectonic lineaments analysis and by evaluating different geomorphic indices, like hypsometric integral (Hi), elongation ratio (Re), stream length-gradient index (SL), river profile, ratio of valley floor width to valley height (Vf), stream sinuosity, etc. The structural and morphological (e.g., incised valleys and hanging paleochannels) features were able to hypothesize the influence of active tectonics on the Quaternary evolution of the landscape. 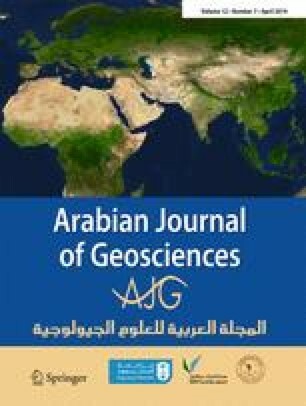 On the basis of morphotectonic analysis, an attempt has been made to trace out the plausible phases of the geomorphic evolution of the Sali basin by using remote sensing and GIS techniques. Analysis of the all morphometric and geomorphic indices revealed that the upper catchment tectonic activity plays an important role in the development of watershed hydrology, whereas the basin that is located in lower altitude (where Pleistocene to Holocene deposits crop out) are affected by depositional and neotectonic activity.